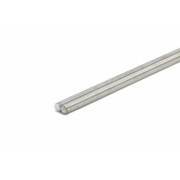 Material: Zinc-plated steel Precision cutting: cutting is done by hand, so mesure may be slight.. 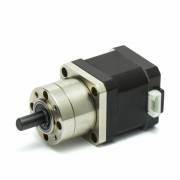 Features: Each motor includes 1 meter of wire with dupont connector at its end. The shaft .. 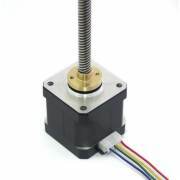 The functioning and the connections of a stepper motor are simple concepts deeply. 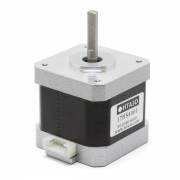 There are different types of stepper motors. 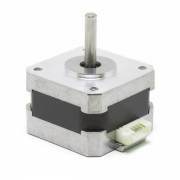 In 3D printing the most used are "Hybrid Stepper Motor", with two phases and 4 connections; which combines the features of "Variable Reluctance Motor" and "Permanent Magnetizing Motor"
Which position must have each the connection? We must connect according to the indicated on RAMPS board: 2211, although 1122 will work also. How can I identidy the phases? Each phase has continuity, so with a multimeter we can measure the continuity in the motor connection. Every connector has continuity with the other connector that corresponds with its phase and not with the others. What happens if I cross the phases of the motor? The motor will vibrate, but it won't move. The advantage is that this kind of mistake doesn't damage the electronic and it is easey to identify. What happens if I change the orientation of any phase? 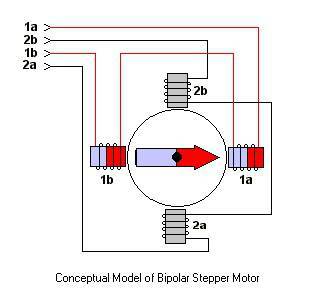 The stepper motor will move in the opposite direction. How can I change the spinning orientation? The easiest way to do it is to connect it the other way round. You can do it from the firmware also. How can I make the motor get less warmed? 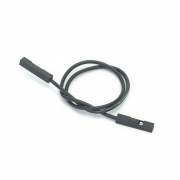 You can decrease the current intensity and thus, the motor power. The motor hasn't enough power and my printer misses steps, what can I do? In Prusa 3D printers, the intensity is usually adjusted between 0,2 A and 0,4 per motor; being possible to lift this value to the nominal power of the motor. One of the options is increasing the current assigned to the motor. Also you can modify the acceleration and/or checking that mechanically everything is right. Do you have any other question? We will answer it! Hola, tengo una geeetech pro b 1 que lleva una placa gt2560 con drivers A4988. No consigo hacer funcionar estos motores conjuntamente en el eje Z, solo vibran pero sin llegar a girar. Sin embargo los he probado de 1 en 1 conectándolos a la salida para el eje Y y funcionan sin problemas. Por mas que ajusto el driver del eje Z no consigo que se muevan. Alguna idea al respecto? Es posible que el A4988 no tenga suficiente potencia para 2 de estos motores. Espero su respuesta, gracias.